Chia seeds. I’ve read lots about chia seeds so am giving them a go on my porridge for starters, then I’ll move on to adding them to recipes in time. The Latin name is Salvia hispanica, genus lamiaceae (same as mint) and it’s said to have been cultivated by the Aztecs. The seeds are rich in omega 3 and are said to help lower blood pressure and to maintain a healthy cholesterol level. You can buy them in Holland & Barrett. Dates. Well these are not new, as I’ve always been partial to a date out of those long boxes with a camel on the front. This time though, they are replacing sweet treats for when I get the munchies. The Latin name is Phoenix dactylifera. They are nutrient dense and full of fibre. Figs. I love fresh figs, but until Tenerife last month, had not really appreciated how nice dried figs are, especially when eaten with salty cheese. I saw these in the supermarket and thought I’d give them a try. Latin name Ficus carica, they are a good source of potassium and fibre. Good for maintaining a healthy blood pressure. This is just the start! I’ll keep you posted on how it goes. Well, summer is over an it’s time for a reboot. 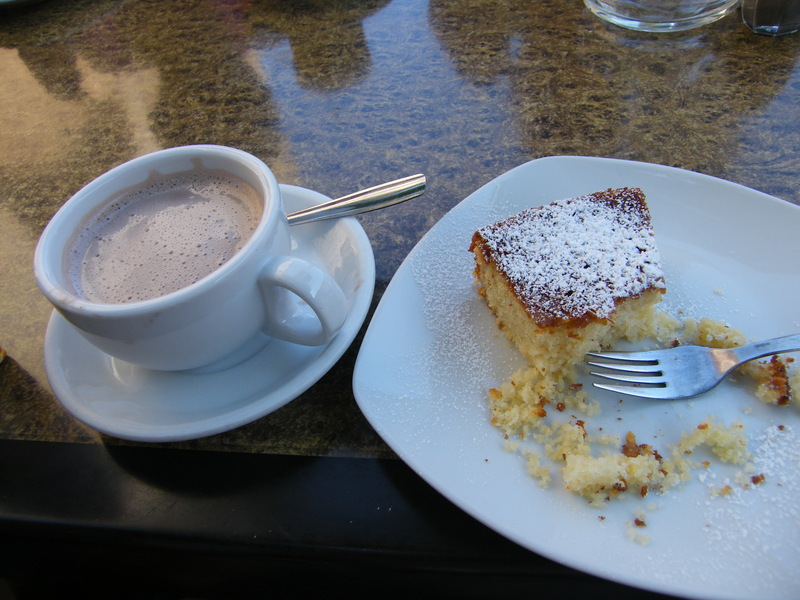 We’ve had a great time sampling food in both the UK and Spain, but my waistline is feeling the pinch! 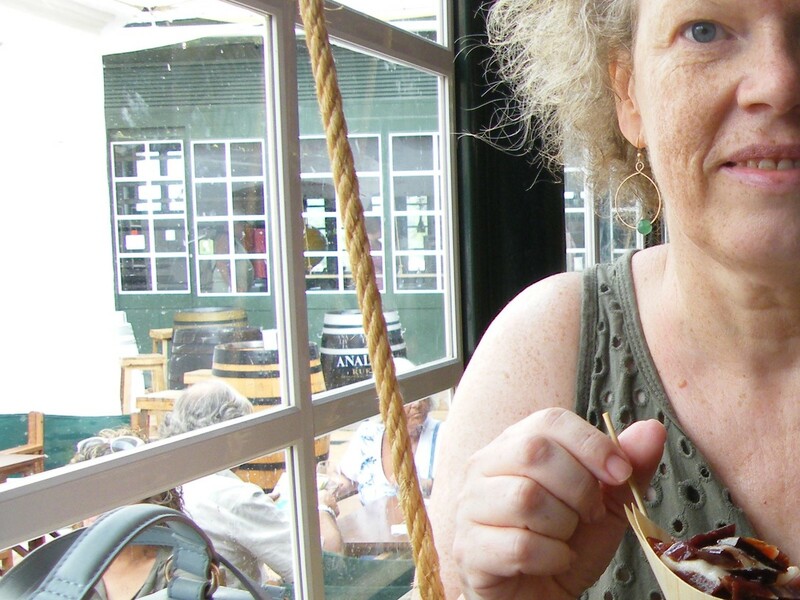 Here I am stuffing my face with jamon in the Mercado at Mahon, Menorca. Very nice it was too, but like all good things, it has come to an end. So today I’m back to clean eating and feeling very positive about it. I don’t know why it’s taken me so long to fully understand why I constantly make the wrong food choices, or why I always seem to be hungry, but the penny seems to be dropping at last. Let’s take today for example. I had a healthy breakfast of porridge made with almond milk, a tablespoon of seeds, a handful of blueberries and a teaspoon of honey. So far so good. This morning I was accompanying a relative to a hospital appointment and gave absolutely no thought to lunch. As you would expect, the appointment was a good hour late, lunchtime came and went, and I was hungry with a capital H. Normally this would signal a quick trip to the hospital café to buy a sandwich, but today, for some reason I fought against this quick fix impulse and waited. Now, my heart doesn’t like me being hungry, and tends to jump about a bit as a reminder for me to eat, but no matter, I persevered until I got to a proper shop where I bought some pre-cooked beetroot, some smoked salmon and a banana. Quick and tasty. So now I have a happy heart and hunger is abated. It seems to me that eating in the middle of the day is the biggest hurdle: -breakfast is always the same and planned for, dinner is planned each weekend for the following week, but lunch is left in the lap of the gods – which leads to all sorts of trouble. So this week I’m going to plan my lunches as carefully as my other meals so that I avoid being hungry and choosing the wrong thing. Quite often I’m out during the day so I need to find portable choices that don’t take too much prep. Better get those recipe books out. Recently I have two very happy additions to my kitchen kit and indeed to my eating clean resource pack. 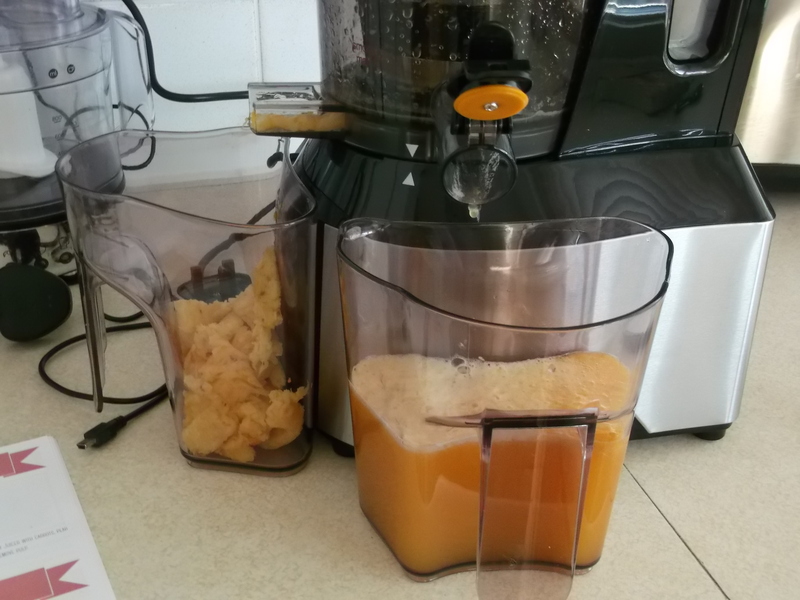 I won this Froothie Optimum 600 Slow Juicer with Simply Sensational Food and so far I’m loving it. It comes with a recipe book to get you started, although there is plenty of info on the internet, including Simply Sensational Food blog. I was expecting this to be a really noisy beast, but no! It’s quiet and quite satisfying to operate – and very quick too. This fits in really well with my clean eating plan and I hope to experiment with more ‘green’ juices as I go along and maybe even some superfood powders. My second new toy is this fabulous Global Ni Oriental Cooks Knife which was sent to me by Steamer Trading Cookshop – one of my favourite shops in Chester incidentally, although you can shop online too. The knife retails at £59.99 and is super sharp! 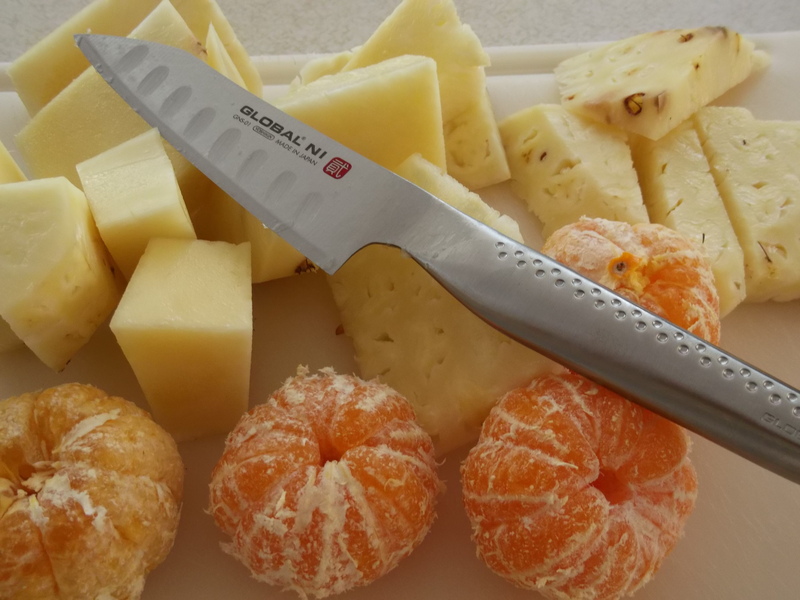 I’ve had a trusty Kitchen Devil knife for years and I never thought another would replace it in my affections, but this one is a perfect size and fit for me. It’s so important for a knife to feel almost part of you when you’re working with it, and this doesn’t disappoint. It cuts through fruit, veg, fish and steak like butter and I’m really pleased with it. As part of my eat clean regime, there’s a lot of chopping and cutting of vegetables, so this is very welcome. If you get chance to visit one of their stores, then do have a browse. I know that when GBBO kicks off later this month, I’ll be in there buying some ‘must have’ gadget! Well four weeks in and six pounds down. I had hoped for better, but went off the rails a bit last week. However, onwards and upwards! Six pounds kept off means I’m only a couple of pounds away from being a healthy weight for my height. I bought a size 12 summer dress in M&S last week and it fits, so that’s progress. I thought I’d share my resources and tell you what I’ve managed to stick with. Firstly, a big thanks to Helen Conway from Bodywork Pilates in Chester who has been a motivating earworm for the last 28 days. Granted, the KSFL plan was too tough for me, but I’ve still learned a lot. 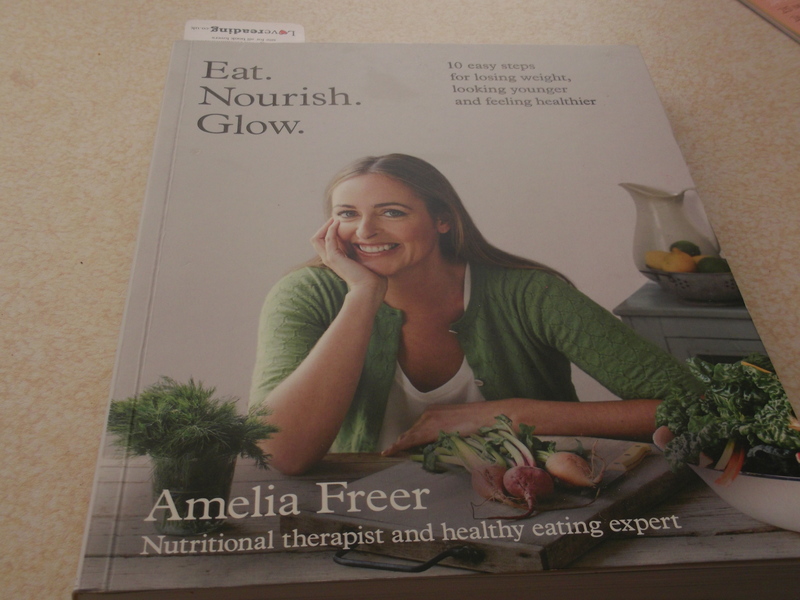 Next, I’ve been reading Amelia Freer’s Eat Nourish Glow and she looks so positively healthy, who wouldn’t be motivated to eat clean. 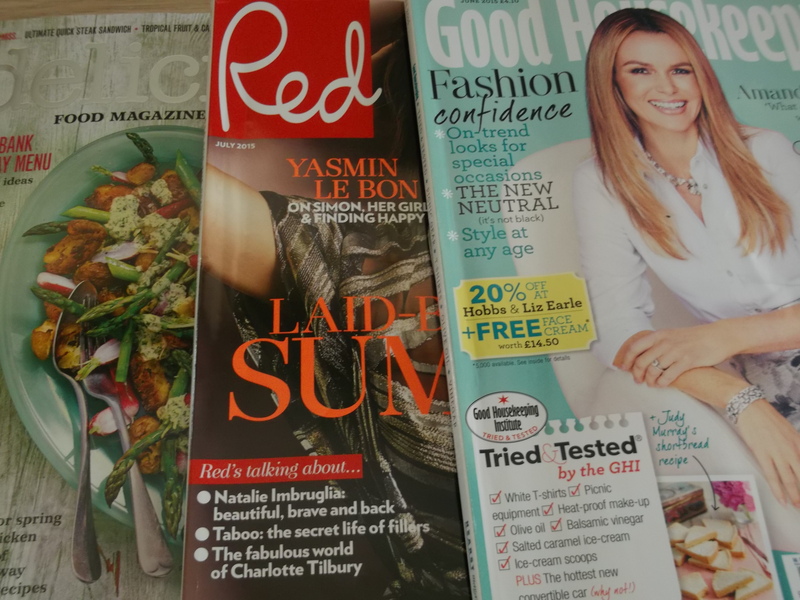 Finally, all of my favourite mags, Red, GH and Delicious are covering real food, so I have so many lovely recipe options to choose from. Oh and of course, not forgetting my lovely yoga and Zumba teachers Jo, Luos and Jacqui at Old Hall Country Club plus lots of long walks in the countryside! The biggest change which I’ve positively embraced is learning to love vegetables. Never before have I eaten such a variety of greens. I’d always seen them as an add on to the protein and potato, pasta, bread, rice or whatever. Now I see the veg as the meal and the protein as the add on. Next big change is the microwave – it’s gone! I no longer have or need one. Thirdly, puds. Now, I love a pudding, but always felt I had to top off my meal with a pud every night, even if it was just a yoghurt. Well, yoghurt has gone. Once or twice a week I have almonds and blueberries for afters. Let’s see what more progress I can make. And sorry Helen, I’ll never give up porridge! Week two, another pound down (six pounds in total) so I’m very pleased, especially considering this fortnight has included a hen party and a wedding, with two indulgent overnight hotel stays. I’m loving the variety of vegetables I’m eating and this is a keeper. I aim to try a new vegetable dish each week. Cooking from scratch? Love it. 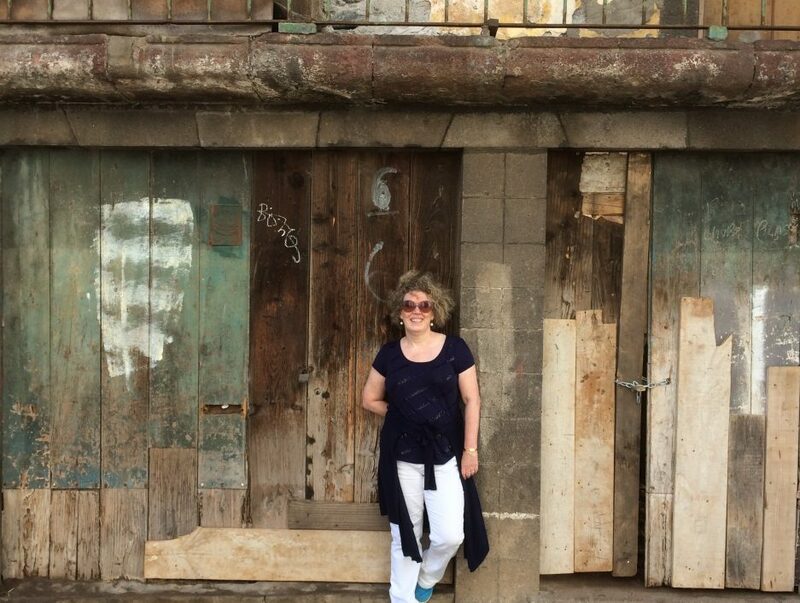 Sugar – well, I’m not giving up honey, but happy to say goodbye to processed sugars. Bread? Surprisingly not missed it. 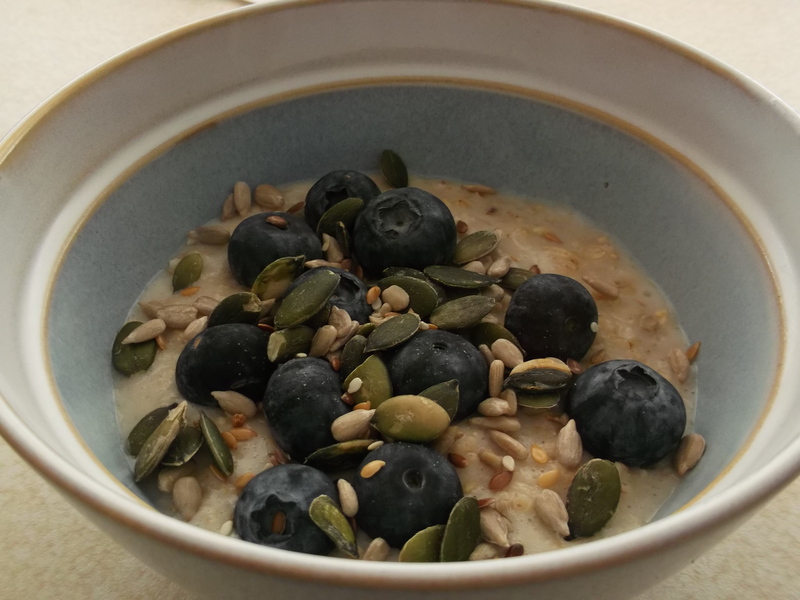 Porridge, seeds and nuts – no way am I cutting these out. I love them. Dairy. A bit of a compromise here. The only milk I want is with my morning (decaff) PG Tips – happy for all other drinks to be milk free. Don’t miss cheese or cream. Chocolate? Green and Black’s 85% will appear on my menu. Alcohol? A couple of drinks a week as per usual will feature. White or red wine and the occasional cognac. Puddings, cakes, biscuits? Haven’t missed them. Fruit – in week two, craving sweetness I’ve eaten strawberries and blueberries. Fruit is coming back on the menu. Holland & Barrett is my new friend – finding lots of foodie things there to experiment with. Fish is appearing much more frequently on the menu. I’m reading lots of clean eating blogs for inspiration. 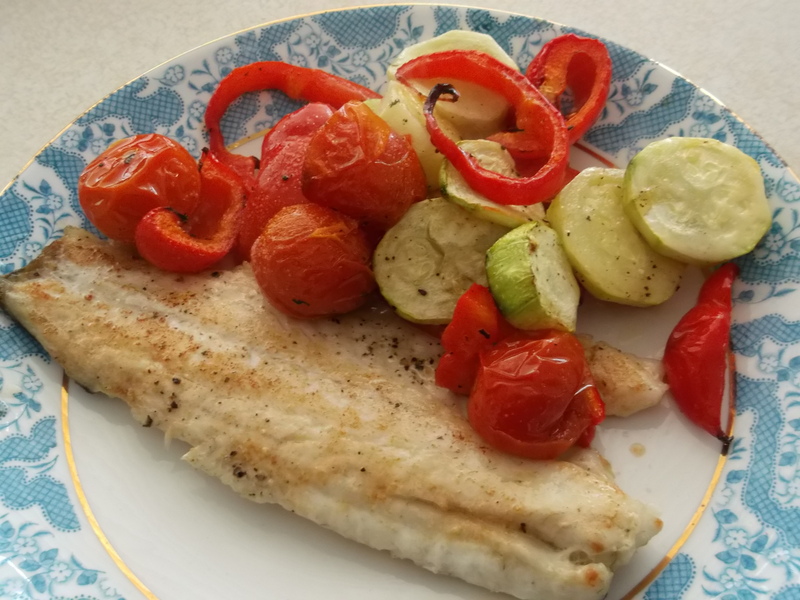 I accept that this will slow my weight loss, but I’m actually now only two pounds away from being in the ‘normal’ weight category for my height. As for exercise, I’ll continue with yoga, Zumba, Pilates, swimming and walking, but running and HIIT has to go as I’ve had to come to terms with my heart related limitations. Palpitations and strenuous exercise don’t mix. Let’s see what next week brings!